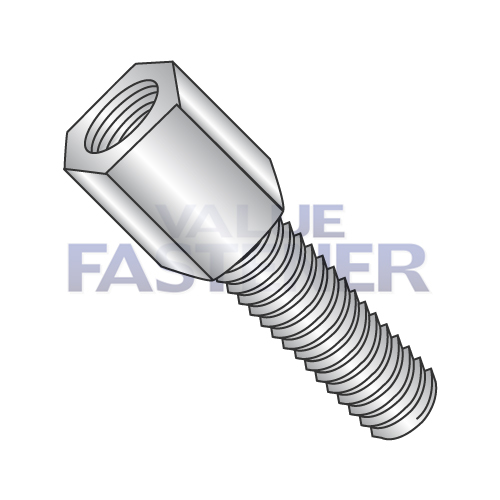 Hex jackscrews are a hex shaped mechanical device that has an opening with a partial internal thread at one end and an externally threaded post at the opposite end. Hex jackscrews are used to mount D-subminiature connectors to a metal panel, such as the housing of a personal computer tower. Follow the links above to find jack screws that are appropriate for your application, or use the filters at left to narrow your search by size, length, material, and other factors. With our huge inventory, we’re sure to have the jacking screws you need. In addition, jack screws are used as an anchoring device to connect micro D subminiature connectors to larger pieces of equipment such as: dentist’s chairs, hospital beds, large concrete structures, roller coasters, trains and more. Contact us for more information on our hex jacking screws and other possible applications, or request a quote today.